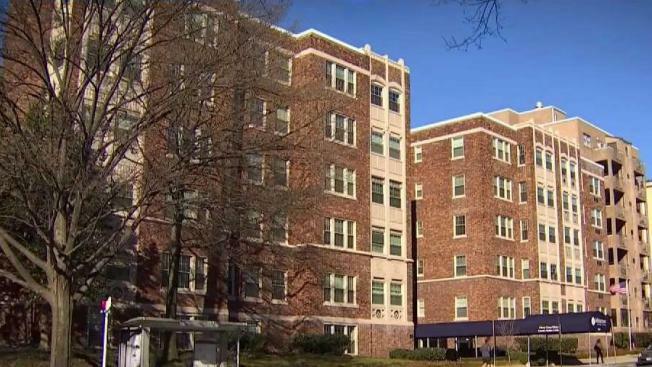 A Northwest D.C. assisted-living facility waited nearly a week to tell authorities about an alleged sexual abuse incident involving a woman with dementia and an on-site construction worker, the News4 I-Team has uncovered. Documents obtained through a public records request outline a series of delays by staff at the Chevy Chase House in notifying law enforcement, health department authorities and the alleged woman’s family. Because of the delays, the construction worker — who has not been charged with sexual misconduct — returned to work at the Northwest senior living complex before he was removed from the premises, according to a scathing D.C. Health Department annual review of the senior apartment home. Contacted by News4, the woman’s son said the assisted-living center’s handling of the incident “definitely feels like a violation of all the trust we put in them.” News4 is not identifying the man in order to protect his mother’s identity. According to the July 2018 report that’s part of an annual survey conducted by Health Regulation and Licensing Administration, the construction worker cursed upon seeing the housekeeper. The housekeeper then fled the apartment and closed the door, leaving the woman and construction worker alone. What transpired in the woman’s bedroom isn’t known from the report, but D.C. law requires health care administrators to “immediately” report instances in which they suspect an adult has been exploited or abused. Still, DC Health levied a $10,000 fine against the Chevy Chase House last year, writing it "failed to immediately report an allegation of sexual abuse" to the head of the facility; “failed to thoroughly investigate an allegation of abuse” and "failed to take appropriate action to protect all residents from potential abuse" during the investigation. Chevy Chase House declined an interview with News4. In a statement, a spokesman said the facility has retrained its staff and is in compliance DC health regulations. He also noted its license remains intact. An attorney for the family said while Chevy Chase House notified them about the incident, the family had no idea the extent of the reporting failures until News4 showed them the DC Health assessment.